Gerd is an avid futurist but also a passionate humanist; a philosopher and musician by training, as well as an early internet entrepreneur. He believes that technology can do amazing things, and that we should embrace it – but he also thinks we must urgently protect what makes us human. Gerd often points out that technology does not have ethics, that it is morally neutral until we use it (riffing-off W. Gibson), and that we need to invest as much in humanity than we invest in technology. And that all breakthrough-technologies can be used both for human advancement, as well as to our detriment. To ensure that human flourishing remains the primary goal of all scientific and technological advances as we enter this era of exponential progress, we music evaluate, frame and govern technology wisely. Societies are driven by their technology but defined by their humanity! 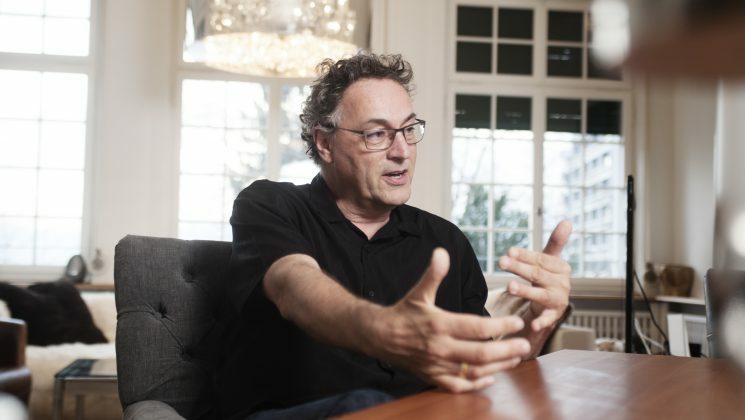 Over the past two decades Gerd Leonhard has risen to one of the top 10 futurist keynote speakers worldwide. He has performed at over 1500 engagements in 50+ countries, and boasts a global audience of over 2.5 million people. Gerd’s client list includes most Fortune 500 companies as well as many governments and NGOs. He is a leading global influencer in the field of digital ethics. Gerd has written five books, including the best-selling ‘Technology vs Humanity’ (2016) - now available in 10 languages. Gerd’s films on the future of technology and humanity, digital transformation and artificial intelligence have reached millions of viewers. His pioneering keynote presentations use animations, video and audio in fascinating new ways.